Alex Oxlade-Chamberlain admits the transition from one manager’s style of play to that of another has been significant to his development. The midfielder has struggled for minutes and endured a mixed start to life at Liverpool following his summer deadline-day move to Anfield. Recent weeks, however, have seen the former Arsenal man tease signs of improvement as he gradually adjusts to a new system and a completely new coaching philosophy. “I’ve learnt a lot and I feel like I’ve adapted well to the requirements of the manager, the coaches and the boys as well,” Oxlade-Chamberlain told Sky Sports. “Arsene [Wenger] is a great manager and he’s proved that for many years. His philosophy and style of play is based on the ‘Arsenal way’ of playing, with his passing game, which is brilliant and works very well for him. The Englishman impressed in Liverpool’s 4-1 win over West Ham before the international break, scoring on his first Premier League start for the Reds. Oxlade-Chamberlain will now be hoping to retain his place in the starting eleven when Klopp’s men host his former employers Southampton on Saturday. After seeing his progression somewhat stutter under Wenger’s guidance, he now looks equipped to thrive in Liverpool’s explosive counterattacking system. 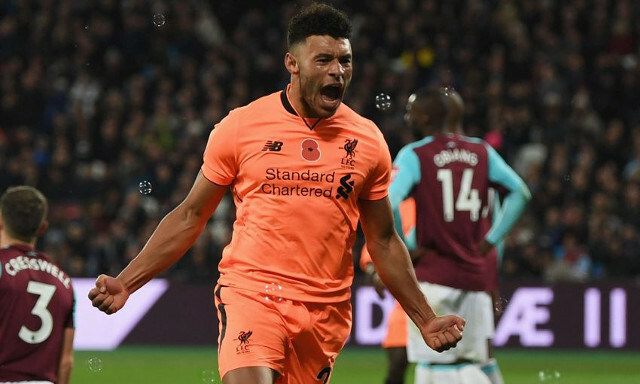 His omission from Gareth Southgate’s most recent England squad threatens to inspire a determined response from Oxlade-Chamberlain as he looks to strengthen his grip on a spot at next year’s World Cup. The return to fitness of Adam Lallana, Jordan Henderson and Philippe Coutinho will also undoubtedly provide motivation for the 24-year-old to step up his game on Merseyside.